Welcome to the February 5, 2018 edition of ACM TechNews, providing timely information for IT professionals three times a week. 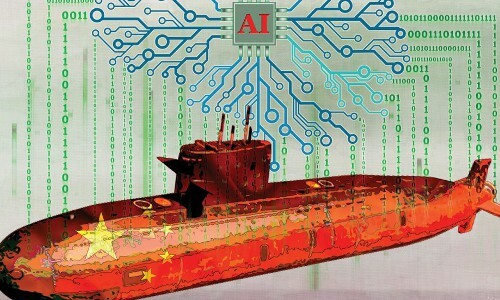 China is planning to enhance its nuclear submarines' computer systems with artificial intelligence (AI) to augment the potential thinking skills of commanding officers, according to a senior scientist involved with the program. The researcher says submarine commanders' workload and psychological burden would be reduced by an AI decision-support system with "its own thoughts." Using convolutional neural networks, the AI system could process a large volume of data that could come from the Chinese navy's increasing observation networks, the submarine's own sensors, or daily interactions with the crew. The scientist thinks the AI assistant could support commanders by assessing the battlefield environment, provide insight into how saline levels in the ocean and water temperature might affect the accuracy of sonar systems, and identify and flag threats from an enemy faster and more accurately than human operators. A priority is ensuring the AI can follow and understand complex and fluctuating underwater operations. Researchers at Hokkaido University in Japan and the University of Minnesota have developed a complex system model to evaluate the health of populations in some U.S. cities based only on the most significant variables expressed in available data. The method enables visualization of the relationships between variables in big data for complex systems based on "maximum transfer entropy," which probabilistically measures the strength of relationships between multiple variables over time. The researchers used this method to mine through a large amount of health data in the U.S. to build a maximum entropy network, a model composed of nodes representing health-related variables, and lines connecting the variables. This approach let the researchers build an optimal information network by choosing the variables that had the most practical relevance. They then were able to compute an integrated health value for each city; the higher the number, the less healthy a city's population. Researchers at the University of Waterloo in Canada have developed a new algorithm to help first responders and home care providers better help seniors during natural disasters. The algorithm uses data from interRAI, an international network of researchers committed to improving care and quality of life for vulnerable populations, to generate an updated list of vulnerable adults using home care services. The algorithm also accounts for disability, health status, social isolation, and the amount of support an individual may receive from informal caregivers. "This algorithm helps us to plan for disasters in advance and allows responders to quickly generate an accurate list of those who may need help during a disaster," says Sandy Van Solm, the Emergency Management Coordinator at the Region of Waterloo. The researchers are working with the Canadian Institute for Health Information to deploy the algorithm into interRAI home care software used across Canada starting sometime this year. 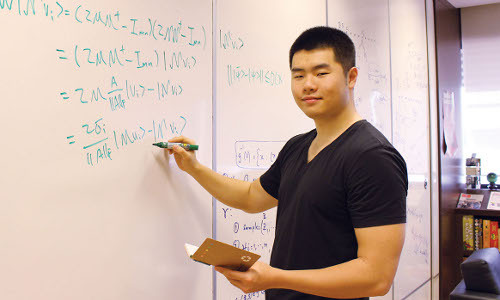 Researchers at the Center for Quantum Technologies in Singapore propose a "quantum linear system algorithm" to help crunch numbers on a wide array of problems. They say a linear system algorithm works on a large matrix of data, calculating how strongly each feature is correlated with another by "inverting" the matrix so the information can be used to extrapolate into the future. 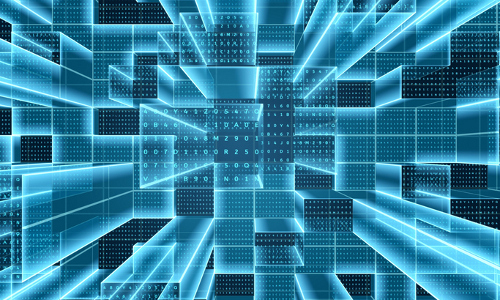 The team notes their first quantum algorithm could manage larger matrices, but only if the data in them is "sparse," or has limited relationships among the elements, which rarely occurs in real-world data. The researchers say the new algorithm is advertised as faster than both the classical and the previous quantum versions, without limits on the kind of data it works for. For a 10,000-square matrix, the classical algorithm would assume the order of 1 trillion computational steps, the first quantum algorithm some ten thousands of steps, and the new quantum algorithm only hundreds of steps. Stanford University professor Michal Kosinski is using deep neural networks to illustrate the use of facial-recognition technology for invasive monitoring, among other things. In one demonstration, Kosinski used facial analysis software called VGG-Face to extract data from approximately 35,000 headshot photos taken from a U.S. dating website, translate their attributes into a sequence of numbers, and then use a computer model to find relationships between sexuality and facial features. When presented with only one photo of each individual, the model differentiated between gay and straight men with 81-percent accuracy and with 74-percent accuracy for women, versus 61 percent and 54 percent when the task was performed by people. Kosinksi says his latest challenge is to use similar software to determine subjects' political leanings. "I'm trying to tell the public that facial analysis technologies are [already] being used by companies and governments to invade privacy at an unprecedented scale," he says. The HumanDrive initiative in the U.K. seeks to refine driverless automobile navigation systems for conditions that include country roads and high-speed roundabouts, via a new autonomous car trial. Simulated tests will be conducted to ensure the vehicles are as safe as possible before the cars take to public roads in a 200-mile journey, due to commence next year. "U.K. roads throw up some particular challenges," says Mark Westwood with the Transport Systems Catapult. "They are different from American roads, with roundabouts and demanding country lanes. These are really testing environments." Westwood also notes the purpose of the HumanDrive initiative is to design the control system so that it can learn to drive as a human would. Researchers at the Fraunhofer Institute for Telecommunications in Germany say they have adapted video compression in such a manner that latency is almost no longer perceivable, with potential use in road traffic or autonomous driving applications. Fraunhofer professor Benno Stabernack notes his team only uses special mechanisms of the H.264/Advanced Video Coding method, in which determining the differences in individual images takes place within an image and not between images. "With our method the delay is now less than one image per second, almost real time," Stabernack says. "We can therefore now also use the H.264 method for cameras in vehicles." The team deployed the technology in a chip, compressing image data in the camera and decoding it in the onboard computer. The researchers say their next step is to transfer their method to the HVEC standard and put their experience to use in upcoming standardization formats. Researchers at ETH Zurich in Switzerland say they have demonstrated that quantum-cryptographic protocols exist that ensure nearly optimal security even if the devices are manipulated, and that such device-independent quantum cryptography should be possible with current quantum technology. The researchers note they have developed a new theoretical concept, called "entropy accumulation," and applied it to quantum cryptography. The researchers determined any attack strategy can be broken down into a sequence of simple steps, which they note should be helpful for security proofs that historically have been extremely difficult because every possible attack strategy that an adversary could come up with has to be taken into account. The team says they have proven for the first time the security of device-independent quantum cryptography is attainable with state-of-the-art quantum technology, and ETH Zurich professor Renato Renner thinks this breakthrough could lead to practical realization of such schemes. Researchers at the University of Geneva in Switzerland and the Ecole Normale Superieure in France have shown that by recording brain activity during a simple task, in this case whether a subject hears "BA" or "DA," they were able to demonstrate that the human brain does not necessarily use the regions identified by past machine-learning studies to perform the task. 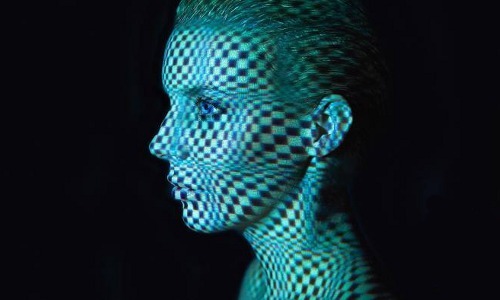 The researchers have shown that although machine learning is effective for decoding mental activity, it is not necessarily as effective for understanding the specific information processing mechanisms in the brain. The researchers asked about 50 volunteers to listen to a continuum of syllables ranging from BA to DA, and found the central phonemes were very ambiguous and it was difficult to distinguish between the two options. The team notes their research provides a better understanding of how the human brain portrays syllables and shows the limits of artificial intelligence in certain research contexts. 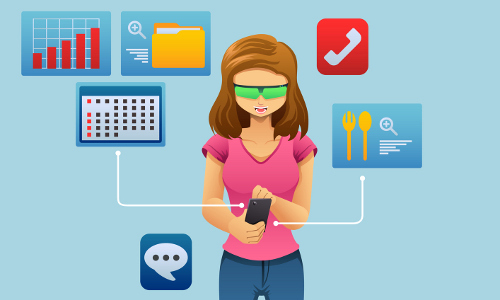 Researchers at the University of Maryland' Center for Environmental Sciences' (UMCES) Appalachian Laboratory have received a U.S. National Science Foundation grant to use augmented reality (AR) design experiences to pique teenaged girls' interest in science and technology. The effort, known as the AR Girls project, will help the scientists understand how to use media design to promote science and computer science interest and confidence among young women, says UMCES' Cathlyn Stylinski. The project focuses on science communication, which may be more appealing to adolescents who think science is only about memorizing facts or conducting experiments. The researchers will work with local art organizations in Maine to recruit teens with an interest in art, and these teens will work with scientists and media designers to create and share AR stories or games. The project will target 112 young women who will gather in the summer and several days the following fall, and then showcase their AR creations. Researchers at Rutgers University note they have developed a "4D printing" method for a smart gel that could result in "living" structures in human organs and tissues, soft robots, and targeted drug delivery. The approach involves printing a three-dimensional (3D) object with a hydrogel that changes shape over time when the temperature changes. The team says they used a lithography-based technique that is fast, inexpensive, and can print a wide range of materials into a 3D shape. The method involves printing layers of a special resin, which consists of the hydrogel, a chemical binder, another chemical that facilitates bonding when it interacts with light, and a dye that controls light penetration. The team discovered that in temperatures below 32 degrees Celsius, the hydrogel absorbs more water and swells in size. They say when the temperature is below 32 degrees Celsius, the hydrogel expels water and shrinks. Researchers at the University of Arizona (UA) are studying a new category of materials, known as transition metal dichalcogenides (TMDs), that have properties that could be used for new ways of processing and storing information, and could provide the framework of future transistors, photovoltaics, and quantum computers. However, most TMDs can only be produced in sheets that are very large and only one to three atoms thin, making them challenging for manufacture on a laboratory scale. The UA researchers have shown that some of the key properties can be achieved without atomically thin sheets. "You can go to the much more readily accessible crystalline form that's available off the shelf," says UA professor Oliver Monti. "Some of the properties are saved and survive." These materials are so unique that researchers keep discovering more new features. 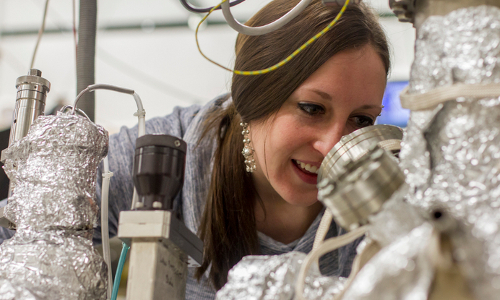 In order to learn all they can about TMDs, the researchers developed a way to "watch" individual electrons as they flow through crystals, an important step toward harnessing the unusual features that make TMDs intriguing options for future processing technology.